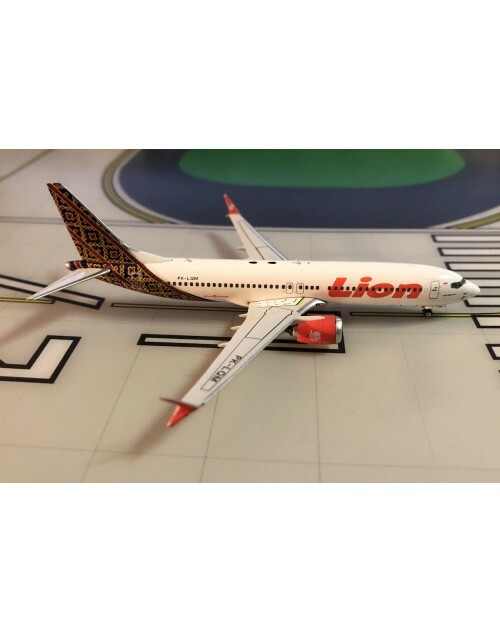 1/400 scale diecast Aeroclassics Lion Air Boeing 737-MAX 9 with current color scheme. 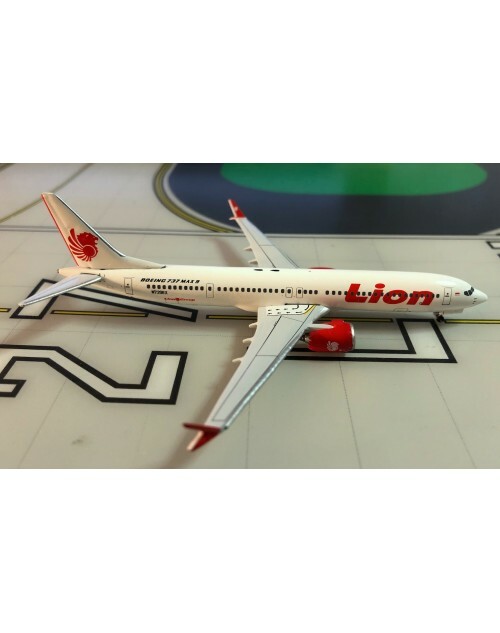 Registration: N739EX, msn: 42989, line no: 6308. Item #: AC4 19331. Released in March 2019. Dimensions: Length: 4 1/8 inches (10.6 cms), wing span: 3 7/16 inches (8.8 cms).